LG wants to make mounting your TV just as easy as sticking a magnet onto your refrigerator. 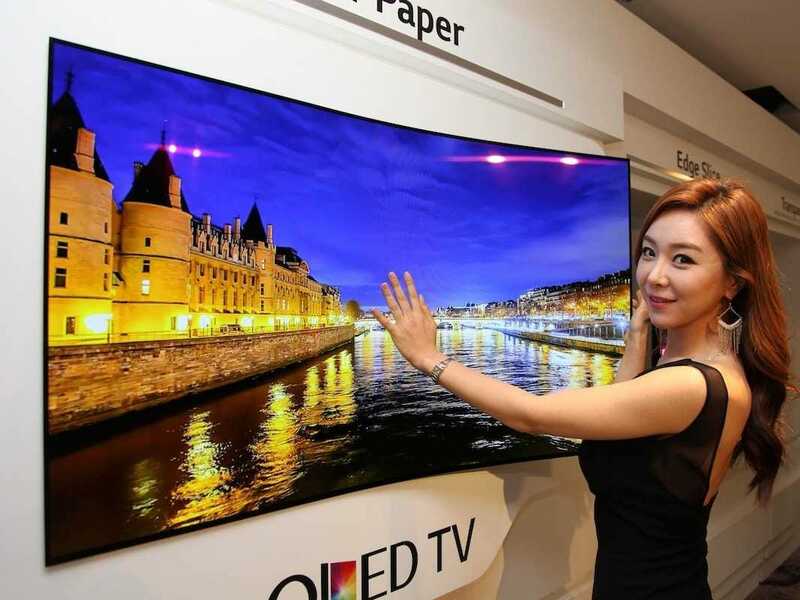 At an event earlier this week, the South Korean electronics giant showcased an incredibly thin 55-inch television with a flexible screen that you can press onto your wall using magnets. It's just a concept, though — there's no indication when or if a product like this will actually come to market. The purpose of the announcement was really to announce LG's plans to focus on making OLED screens for products moving forward. The TV screen itself is less than a millimeter thick, according to CNET. For context, that's about the same thickness as a paper clip. As shown in the image below, a magnetic pad holds the flexible TV screen up to the wall. The TV itself almost looks like paper. LG's new display marks yet another concept device that showcases how flexible screens could one day be implemented into everyday products. Samsung is believed to be capable of developing a fully flexible phone by 2016, a company executive said at an investor event in New York this past November, but it's unclear exactly what the advantages of a bendable phone would be. Both Samsung and LG have released phones with curved screens, but they haven't really caught on with consumers.